Market participants positively assess the emergence profile Vice-a premiere on agriculture in Russia. Experts emphasize the necessary experience Alexei Gordeev, which he gained through holding the position of Minister of agriculture. The emergence profile Vice-a premiere on agriculture, to the position which Dmitry Medvedev has proposed former Minister of agriculture Alexei Gordeyev will have a positive impact on the industry. This opinion was expressed by TASS interviewed experts. "The selection of a Vice Premier for the agriculture sector looks positive signal, especially since the first decrees of may relate to the increasing exports of agricultural products", - said the head of Soyuzmoloko Andrey Danilenko. He recalled that Gordeyev in the early 2000s has served as the Vice Premier in charge of agriculture and the relevant Minister, therefore, according to Danilenko, he has the necessary experience and overall interest in the development of the industry. Among the main achievements Gordeeva on this post Danilenko called the development of the priority national project development of agro-industrial complex, which was the first strategy of development of the industry. "When it was first used such a tool to protect the domestic market as the customs-tariff quotas, there was built a competent policy, which enabled you to create more attractive conditions for investors", - in turn, said the head of the National meat Union Sergey Yushin. He also said that Gordeyev has managed to attract funds in the industry, which significantly helped in the development of crop production, and meat industry, due to active the possibility of subsidising interest rates on investment and working capital loans. Another merit Gordeeva, Executive Director of oil and fat Union of Russia Mikhail Maltsev called the active growth of industry associations, which happened under this Minister. "For the first time after a disastrous 90 Gordeyev managed to break negative trends in the industry", - said Danilenko. 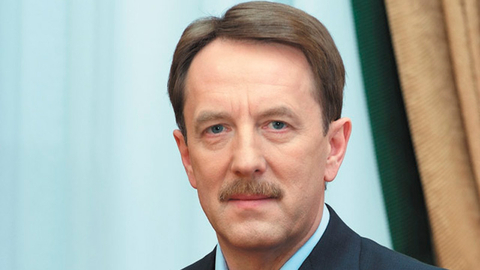 Among the priority tasks that will stand before Gordeyev, Vice Premier, Vice-President of the Russian grain Union Alexander Korbut said that the increase in the competitiveness of Russian agricultural products on the world market and shaping a modern agricultural policy towards reducing the dependence of industry from conjunctural moments. "Participants of the dairy market expect Gordeeva the adoption of a new global strategy in the dairy sector", - said Danilenko. "All this accumulated Gordeyev experience and knowledge, as well as structured communication at the Federal and regional level and understanding of the industry - will create the necessary support which would allow to carry out ambitious tasks set by President of Russia, including the doubling of export agriculture", - said Maltsev.